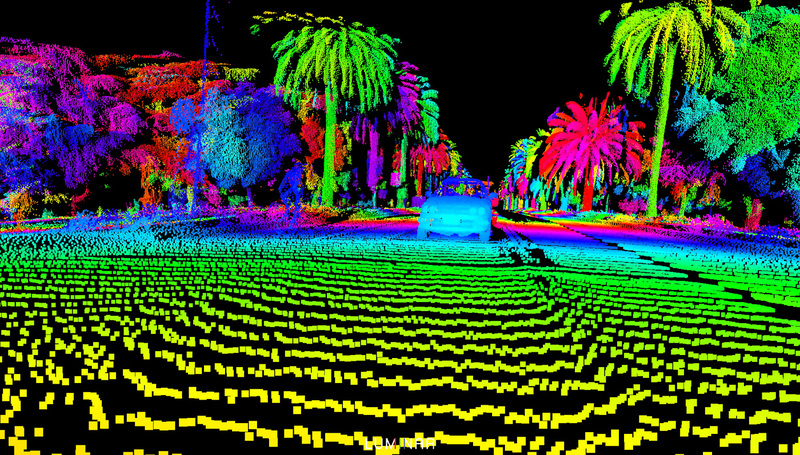 Luminar is bringing a higher quality LiDAR to autonomous cars. San Francisco's Pier 35 usually hosts cruise ship guests boarding and unboarding their giant floating hotels. It's a cavernous building hundreds of meters long which actually makes it the perfect indoor facility for demoing what 22 year-old Luminar CEO Austin Russell hopes is the future of LiDAR. The company has developed a higher-quality laser sensor that just might make it the darling of the autonomous car world. Laser-based LiDAR -- along with cameras and radar -- is one of the main components on most semi-autonomous vehicles. It creates a real-time three dimensional map of the area it's scanning and relays that information back to the car's self-driving system. The technology is so important that Alphabet's Waymo is suing Uber because it believes the ride-hailing company is using some of its circuit board designs. So it's a big deal to the future of driverless cars and Luminar thinks it can do better than what's already on the market. Inside the giant building, Luminar CTO Jason Eichenholz demos on a screen what current LiDAR systems see. The walls and columns are visible and when someone rides by on a bike, a few moving pixels track the movement. Then he turns on Luminar's system and the difference is impressive. But it's not just the quality of the items being scanned that's important, it's how far out the sensor sees. Luminar placed a black panel 200 meters away from the system, and it was clearly visible on the display. Typical systems see about 30 meters away and when a car is barreling down the highway at 70 miles per hour, the further a sensor can see, the better. Luminar's big jump in quality and distance took Russell five years and if you're keeping score, that means he started the company at age 17. "I looked really deeply into the LiDAR space and saw there was a severe lack of innovation -- for even the past decade -- in terms of advancing the performance to any significant extent with any new architecture," Russell said. So he built his own from the chip-level up. Russell says his LiDAR has 50 times greater resolution and 10 times longer range than legacy systems and in the process he noted Luminar had to find "2,000 ways not to make this LiDAR." After a closed demo in the giant building, Luminar drove me down San Francisco's Embarcadero. The parade of cars, bikes and pedestrians were not just visible, but the detail of those people and machines was higher than I've seen on competing systems. It was a rainbow colored world of lines and shadows that when translated by a computer is the difference between an autonomous vehicle seeing a box and recognizing that mass of pixels in the distance as a small dog. But is Luminar's technology enough to overtake Velodyne, the established leader in the space? Unless an automaker has their own proprietary system, there's a good chance the sensor on the top of that car is from Velodyne. 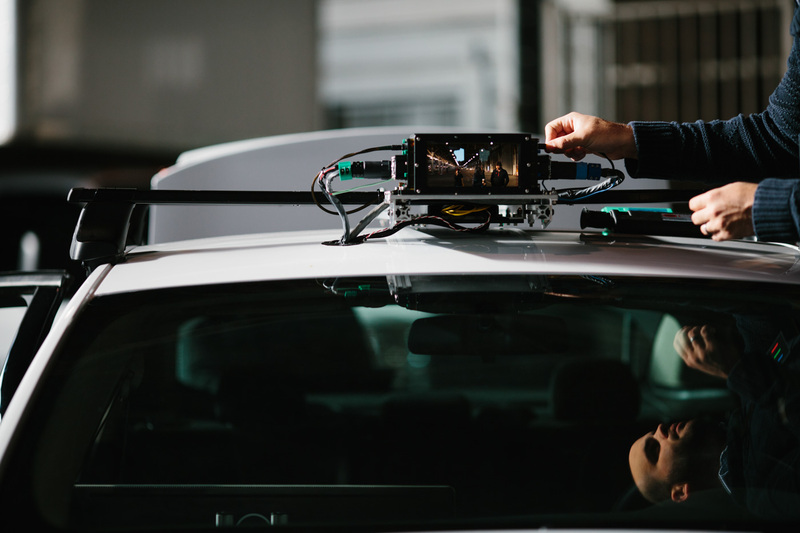 Even Uber is using Velodyne while it's building its own LiDAR system (the one that triggered the Waymo lawsuit). But unlike the five years it took Luminar to get its LiDAR just right, the company is moving quickly to get the sensor into the market. While Luminar wouldn't comment on the final price of their laser-based sensor, Russell did say that the company wants to create hardware that's affordable for all makes of vehicles. He told Engadget. "we tried to be able to make this affordable long term for all types of cars, from the Honda Fit all the way up to the Bentley." Meanwhile the high-end Velodyne HDL-64E costs about $75,000 with the less-expensive, but also less powerful Puck clocking in at about $8,000. Luminar says it's been working with four partners in the autonomous driving space (but won't name any of them) and those companies will be receiving 100 units very soon. 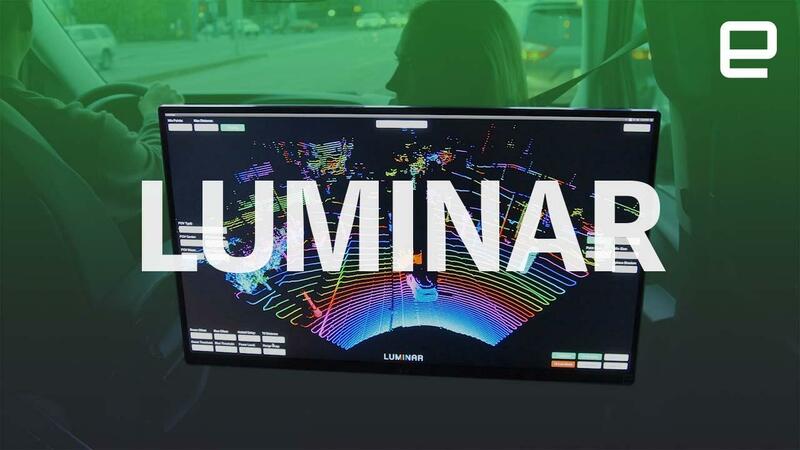 Those partners will essentially beta test the system and share data and thoughts with Luminar. The company says it will then build and ship an additional 10,000 units from its Orlando facility by the end of the year. That's incredibly aggressive. But if it can pull it off, it'll be almost as impressive as the hardware they demoed on the streets of San Francisco.